The app is okay but has several errors. The recipes (for example, the almond milk) tend to have errors. Misnamed ingredients, missing quantities, and other typos. 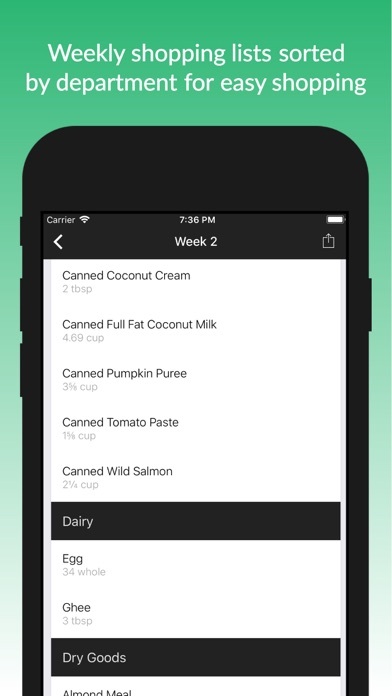 The editing of meals doesn’t update in the shopping list. These aren’t errors you should find in a paid app. 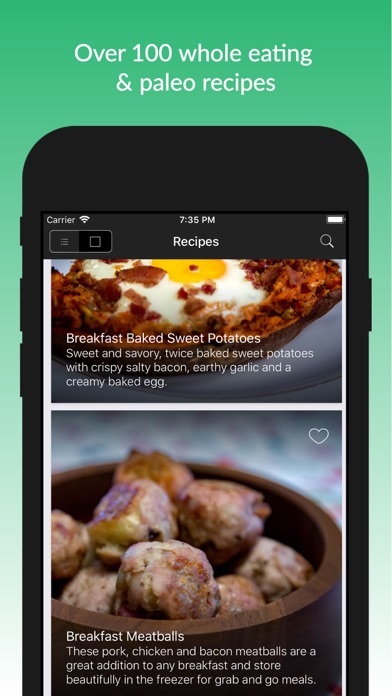 Also, the recipes don’t follow Whole 30 diet completely (so the app name is pretty misleading). Some of the ingredients have added sugars. I would investigate other available apps before purchasing this one. So, it’s a good place to start, but it doesn’t offer much. 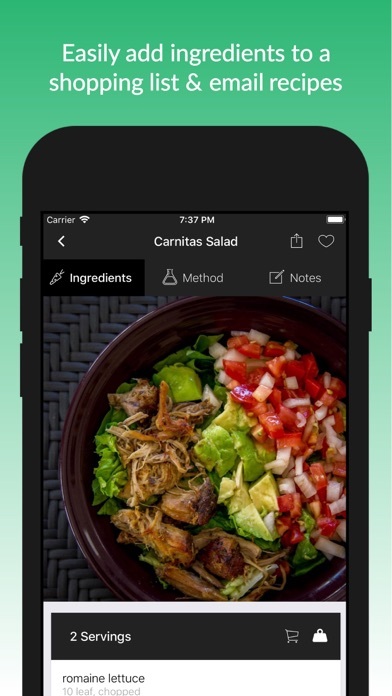 I use the Tasty app. and they have great ideas for whole 30 eating. As a whole 30 app. You have to pay for, they really should be offering more. 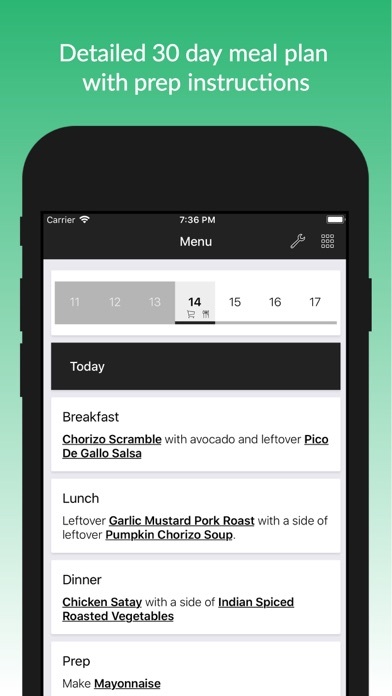 I purchased the Whole Eating App with the gray chef icon and the Whole Eating App with the green stripe icon when I wasn’t satisfied with that. 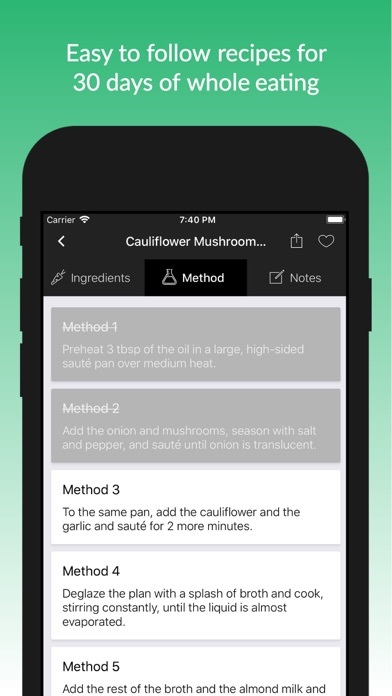 I am extremely disappointed yes and feel swindled of my extra money because both apps offer the exact same recipes. They are the same with different interfaces! I’d like my money back seeing as I paid for two of the exact same disappointing app. This app is a waste of money. While they say you can edit your meals, I found it difficult to do and even then it doesn't update the shopping list so you have to manually update that as well. The app isn't intuitive or easy to use. You are better off with any other app. I purchased it and tried to use it but ended up not using it because it wasn't user friendly and I didn't like a lot of the meals. it would be nice if there was a way to edit the menu plan. There are certain things that I’m allergic to that I can’t have or things that I don’t like that I’d like to eliminate from the monthly plan. I can’t see a way to edit that. I tried choosing favorites but it looks like it just puts whatever it wants on the calendar.